— Morgan Smith breaks down the latest developments in the Aaron Hernandez saga. — The Patriots rank in the top 3 in the entire league in social media equity. — Rex Ryan has yet to name a starting quarterback in New York. Andy Green breaks down the latest. — The Jets recently agreed to terms with former Packers quarterback Graham Harrell. — With final cuts only three days away, check out my official 53-man roster prediction. 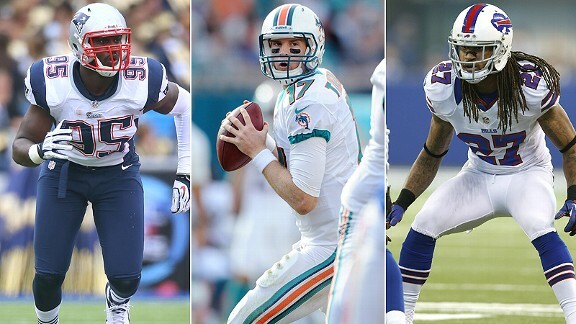 — Will the Dolphins struggle to score touchdowns in the red zone this season? I break down some potential fixes to the issue here. — Dolphins Gab is also looking to hire an additional one or two writers to help out with the team’s coverage this season. Email matt@gridirongab.com to apply.